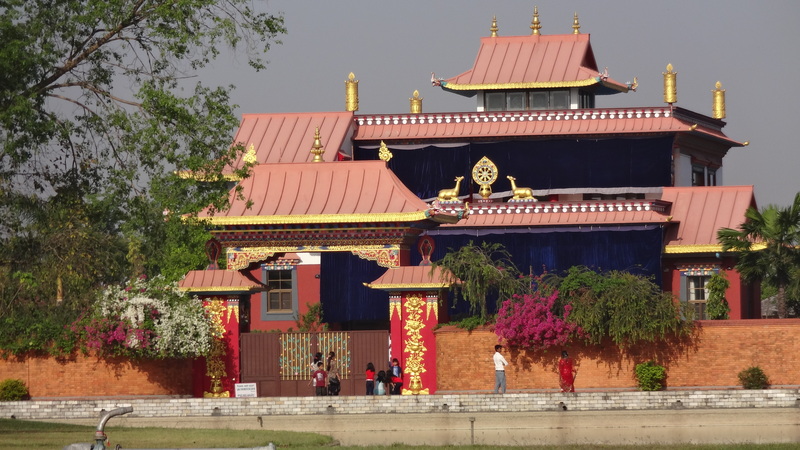 I’m not sure what I expected to find in Lumbini, which is internationally recognized by almost everyone as the birthplace of Buddha. 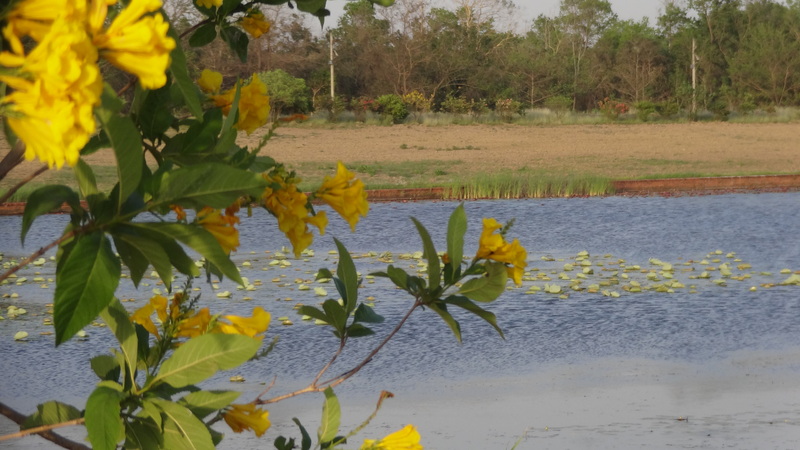 All I had seen was a few photographs of a white monastery-like building in the middle of nowhere and, as we drove through the arid stretches of the Terai, nowhere seemed to be just where we were heading. 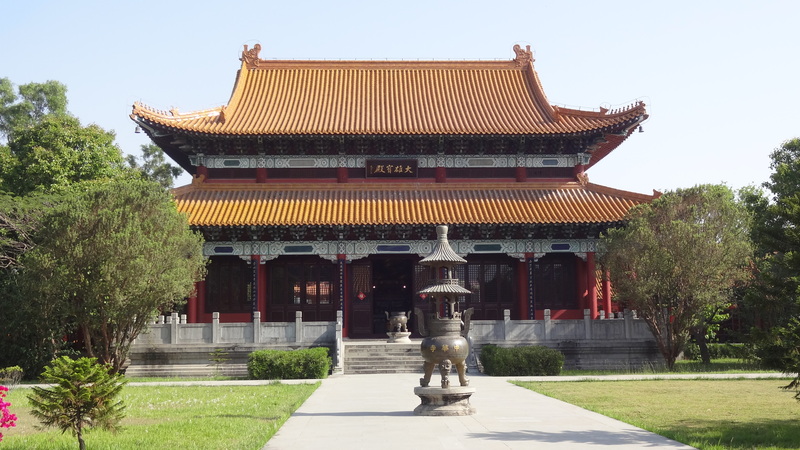 I supposed I’d expected one or two sacred sites and maybe a few golden Buddhas, as after all it is one of the most sacred sites in Buddhism, but I was shocked and impressed at the scale of the place. 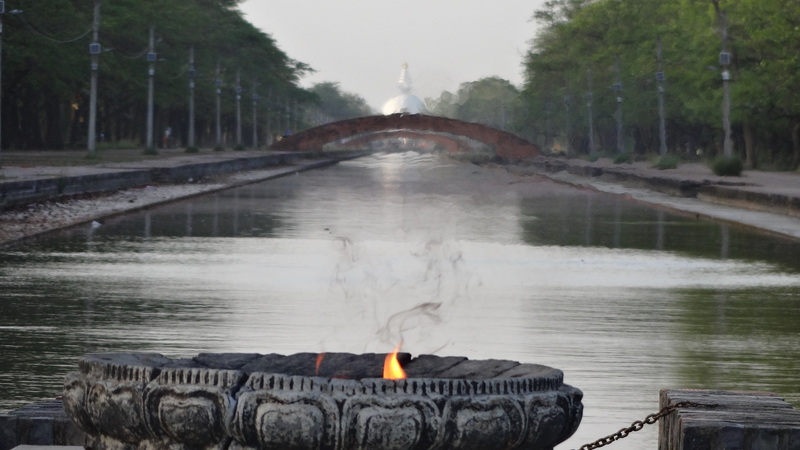 The UN Lumbini Development Project was set up in 1970 and a master plan was put together to develop Lumbini, which had fallen into disrepair centuries ago. 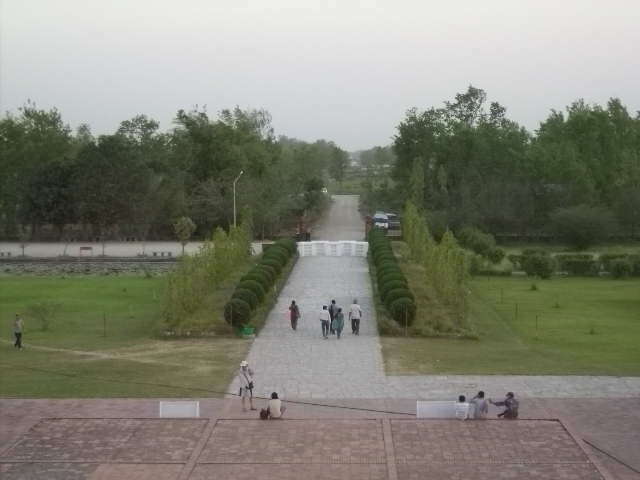 Today its an UNESCO World Heritage site, consisting of a rectangular walled block of land measuring 4 kilometres by 2 kilometres, which includes a sacred garden and Buddha’s birthplace at one end, and a Peace Pagoda at the other. Between these two extremes runs a long connecting mall with reflecting ponds, vaguely similar to the famous mall in Washington. Either side of the mall (to the east and west) are plans for up to 40 different Buddhist monasteries from different sects and countries all over the world; some are built and some are still being developed. And the scale of development is far larger and more impressive than anything else I have seen in Nepal to date. 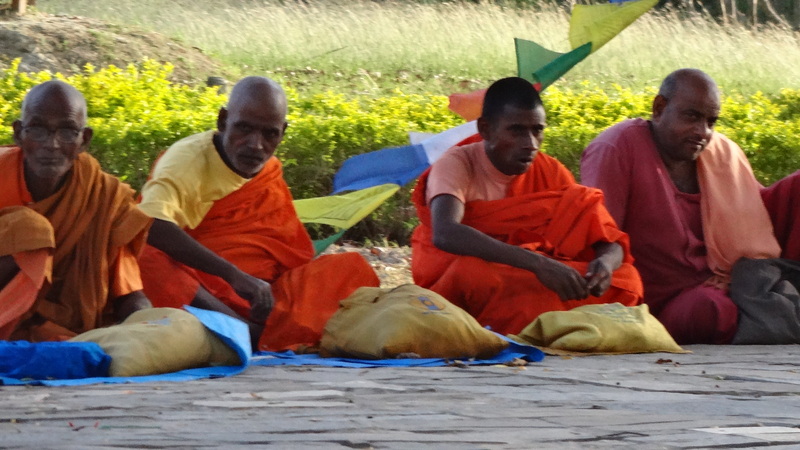 Buddhist monks under the sacred tree. These guys were selling blessings. 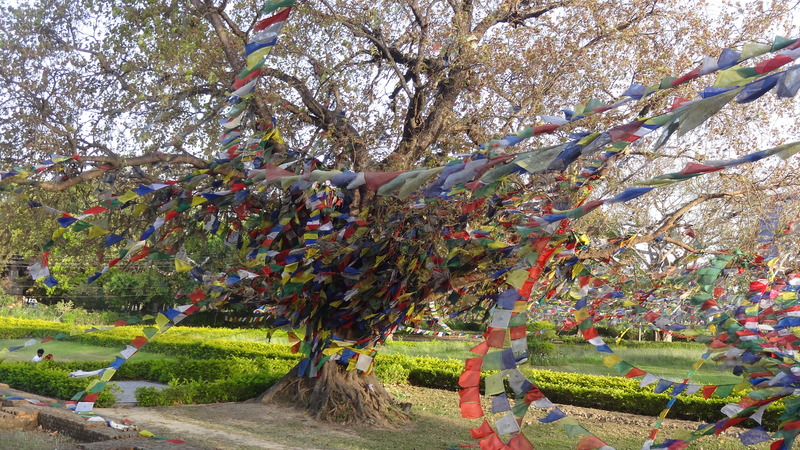 Stunning tree covered in prayer flags that we are told is the tree that Buddha’s mother leaned against to give birth to him. The ruins of his birthplace are covered in a white monument, but still surrounded by original foundations from other buildings. 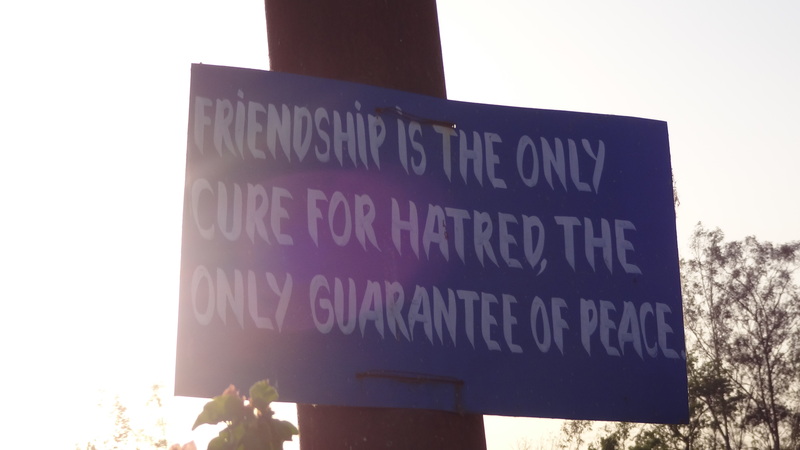 Spaced out along the mall were signs in English and Nepali which shared messages from Buddhist teachings. However, what struck me most was the emptiness of the place. Wide boulevards that would fit thousands of people, and barely anyone there. Of course, this had something to do with the time of year. Touring outside in 90 degree is too overwhelming, even for the devout. 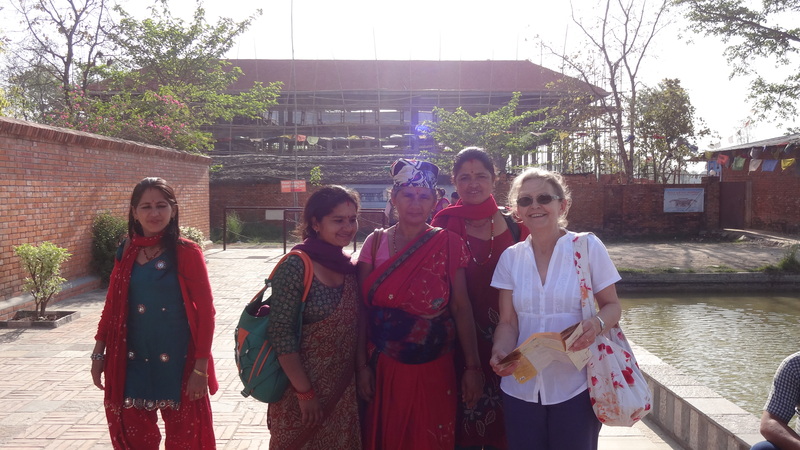 But I also know that Nepal has not done a great deal to promote religious tourism here. 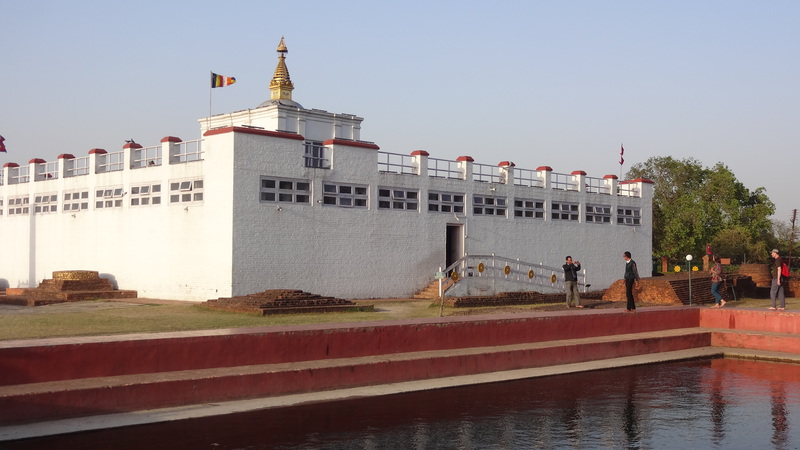 Most (non-Buddhist) tourists come for the trekking and mostly don’t even know about Lumbini. 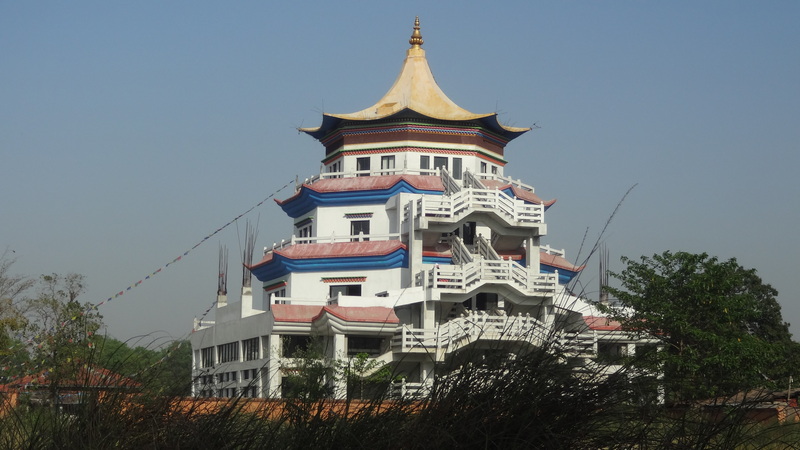 So it sits in relative obscurity, as this giant monument to Buddhist in the middle of nowhere. Finally, a quick look at some of the monasteries. 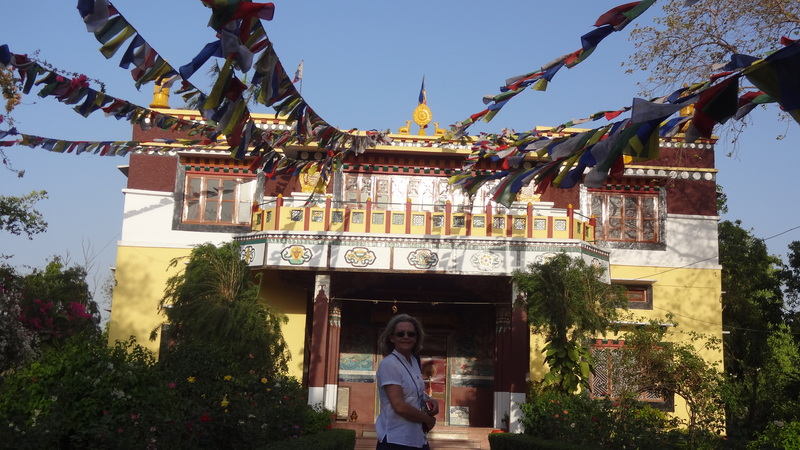 I could do a separate post entirely on the different monasteries that we saw. I would guess there were about 25-30 built and we saw about 10-15: Korean, Vietnamese, Thai, Nepali, Chinese, French and German (yes!) , Japanese…. Here are few examples of the different styles. We spent half a day, we could have spent two days looking at everything. Fascinating place.